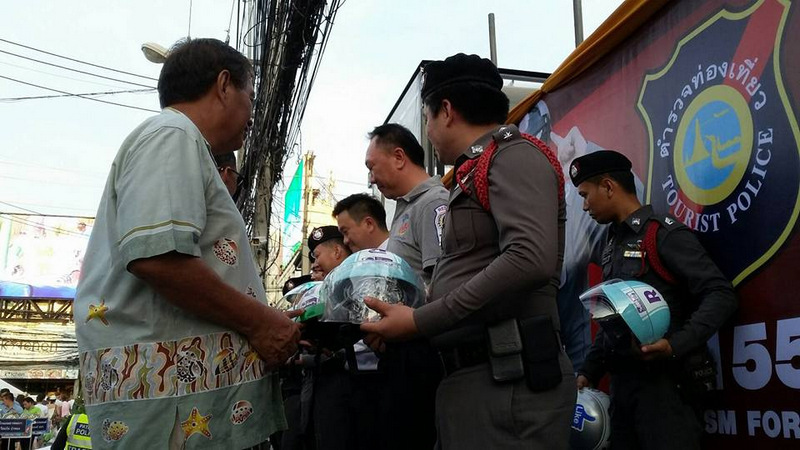 PHUKET: More than 500 helmets were given away on Bangla Rd on Saturday evening (April 15) as part of Phuket Bike Week with Phuket Governor Norraphat Plodthong and leading police officers on the island joined the campaign to save lives. 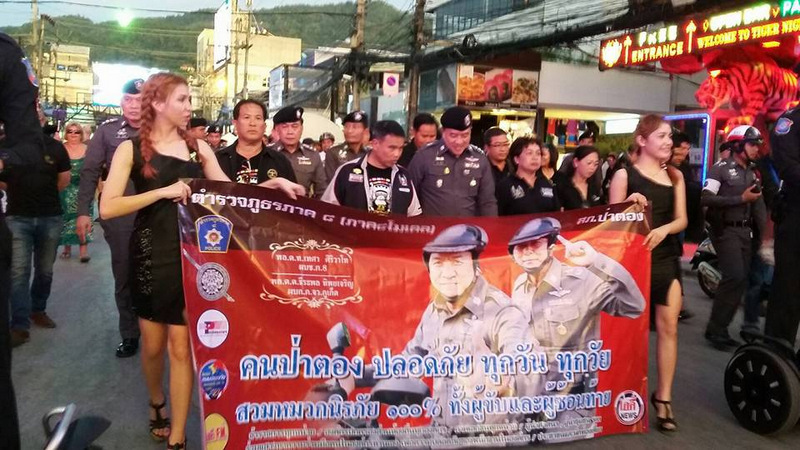 Joining Gov Norraphat at the event, which got underway at 6pm, were Phuket Region 8 Police Chief Lt Gen Tesa Siriwato, Patong Police Chief Col Chaiwat Uikum, officers from the Royal Thai Naval Third Area and Kathu District Chief Sayan Chanachaiwong. “The Seven Days of Danger records show that most people fined during the campaign are fined for not wearing helmets. Motorbike users must be aware of wearing helmets for safety. 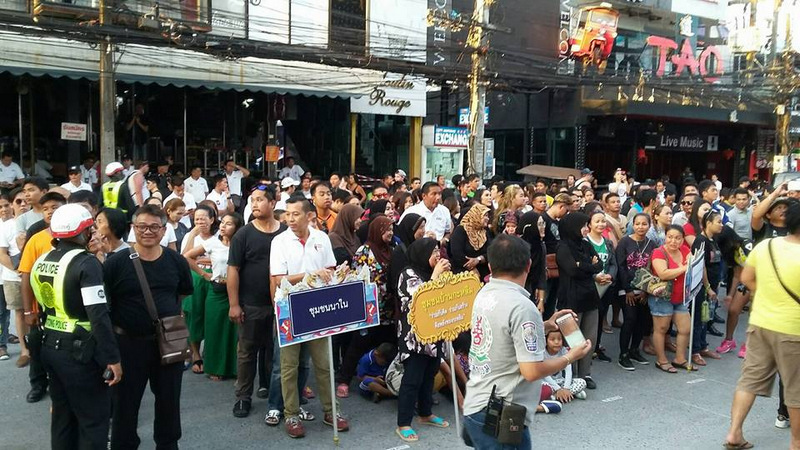 This not just to avoid being caught by the police, but for lives and their families.” Governor Norraphat said. “For Region 8: ‘Every day, Every age – Safety 100% helmet’,” added Gen Tesa. 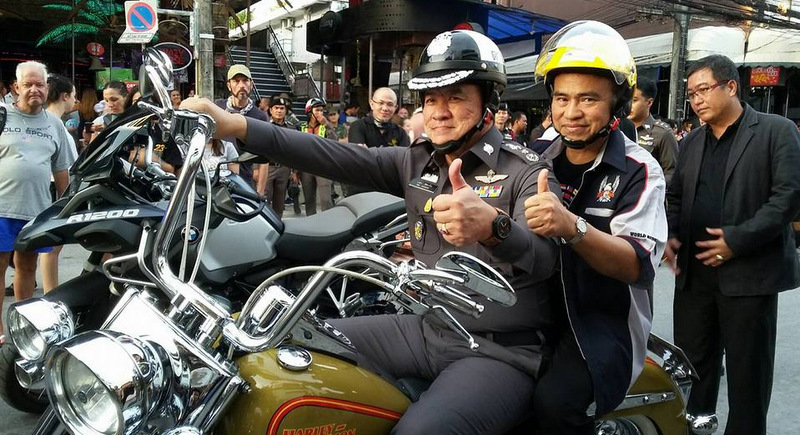 Patong Police Chief Col Chaiwat said, “This activity is to encourage both motorbike drivers and motorbike passengers in Patong to be aware of the how important it is to wear a helmet. “It can prevent the loss of life and property. Also the campaign aims to make motorists in Patong more concerned about the law and the be aware of the ‘100% wearing helmet’ campaign,” he added. Phuket’s first and so far only fatality in this year’s Songkran Seven Days of Danger road-safety campaign was Bussaba Phanwiset, 37, who suffered head injuries in a fall from a samlor (motorcycle fitted with a tray sidecar) near Wat Thepwanaram in Baan Manik, Cherng Talay, at about 3:40pm on Saturday (April 15). Ms Bussaba was pronounced dead from acute subdural hematoma at 7:30am. The Phuket News and Class Act Media is - and has been for years - a proud sponsor of Phuket Bike Week. Helmet to eat Green Curry suppe from. Shame you  Gov Norraphat. As a retired motorcycle dealer, I think giving away helmets to raise helmet safety awareness is a good idea. Unfortunately, the helmets they give are probably the β500 type. While they protect from cuts and scratches, they do little to prevent any real head trauma. We called these "brain buckets." Real helmets, or these cosmetic non protective ones?